There is a one in six chance Britain will leave the EU during the next parliament, a think-tank has predicted. Open Europe has launched a “Brexit Barometer” to gauge the probability of the UK leaving the European Union after the general election on May 7. At the moment, there is a 17 percent chance of the UK leaving the bloc. The prediction comes after the manufacturers’ group the Engineering Employers Federation (EEF) warned Britain’s political leaders are at risk of letting the country “sleepwalk out of Europe” – a warning directed at David Cameron and the Conservatives. “While we are beginning to persuade European partners to reform, some political leaders here are adopting a laissez-faire attitude that could see us sleepwalk out of Europe,” the EEF chairman Martin Temple said. David Cameron promised to hold a referendum in 2017 on whether the country should leave the European Union – if he wins a majority in May. A survey by the EEF of its members last September found 85 percent wanted to remain in the EU because of the access to its single market, whereas just 7 percent said they wanted to exit. A YouGov poll has recently shown public support for EU membership is at an all-time high – 45 percent of respondents said they don't want a Brexit, compared with 35 percent who would choose to leave. This is the largest recorded level of support for staying in the EU since YouGov began asking the question in September 2010. Labour Party leader Ed Miliband says the UK should remain in the union. 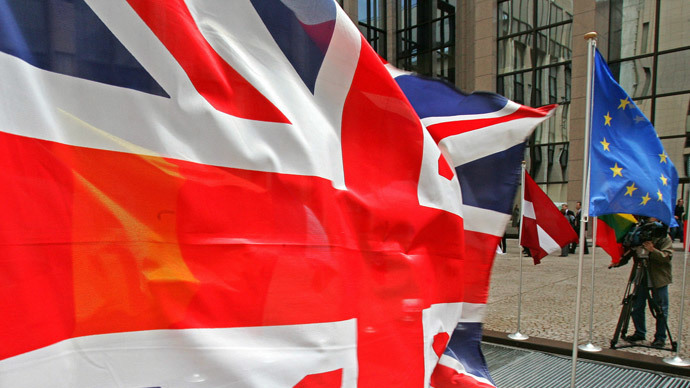 Miliband conceded the UK’s relationship with Brussels needs to be reevaluated. Meanwhile, bookmaker William Hill is currently offering 3:1 odds on Britain leaving the EU by 2020.